Preserving the integrity and high design standards that are related to the neighborhood’s history and culture, Lifetime Developments fashioned a simultaneously contemporary and historically elegant structure; with vast residential, retail, and office space, as well as a striking glass façade to showcase their innovative skills. The Liberty Market Building creates distinctively inspirational working and living spaces with simple everyday conveniences. Devoted to transforming and refining the Liberty Village residential scene, the company devoted themselves to the launch of a remarkable mixed-used development – and the 28-story tower adds a modern sense of charm to the neighborhood. Lifetime Development’s commitment to preserving the heritage and aesthetic appeal of the neighborhood is reflected through the idealistic vibrancy and the artistic elements on both the inside and outside spaces. It’s a celebration of Liberty Village’s cultural legacies and it is thoughtfully crafted to create a place where modern-day convenience blends seemingly with cultural small-town charisma. From the inside to the outside, Liberty Market Tower is outfitted with a vast array of amenities and elegant features, luring in office tenants, retailers, and residents alike. Lifetime Development has been crafting cutting-edge residential neighborhoods and successful retail spaces for over three decades, continuously adding landmarks to various communities. Through their unwavering ability to acquire key residential addresses and erect structures with modern conveniences, they’ve earned a reputation as one of the most trusted builders in the country. 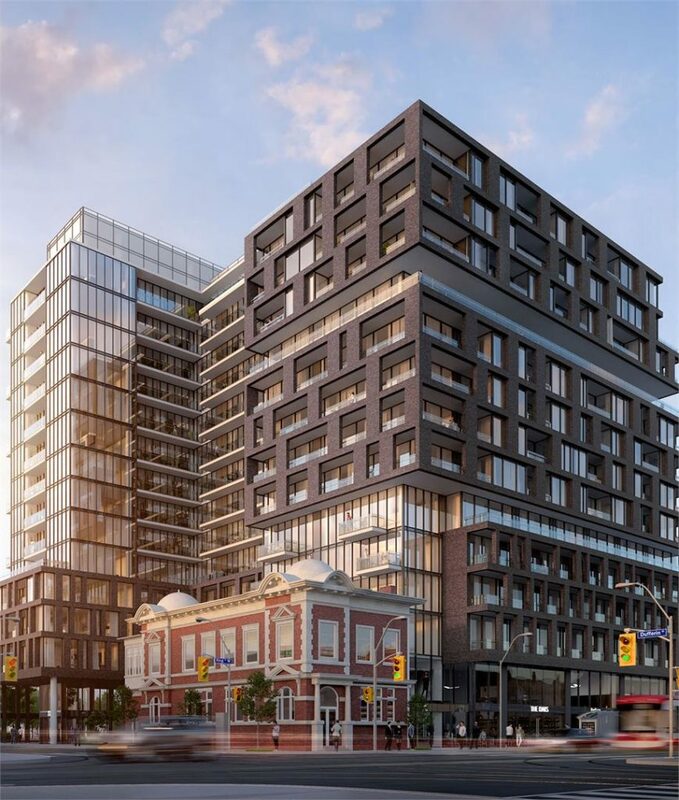 They’ve led the completion of a vast number of acclaimed residential and commercial projects such as the Four Season Private Residence, Code Condos, Karma, Bisha Hotel, Wynford Green, XO Condos, Panda Condos, Whitehaus, and The Bond Condos. Each project has its distinctive traits that make it a true buyer's choice, such as their proximity to mass transit, shops, retailers, and everyday convenient services. Like Liberty Market Tower, these remarkable and unprecedented developments have garnered great public attention. Lifetime Development’s strong social responsibility continues to be the focal point of the creation of opulent neighborhoods by the company. The design and features included in the conceptual floor plans for Liberty Market Tower sets the stage for contemporary living, offering everyone the chance to eat, play, and shop, at the best destinations in the bustling downtown core. While it is undeniably a fun addition to Liberty Village, the glamorously designed tower also pays homage to the historical roots of the neighborhood without excluding amenities that Torontonians have come to expect in luxury condos. Shops, a conference room, and a lounge will all be included, key ingredients for a building that’s a workspace as much as it is a home. The modernistic mixed-used structure is design to resonate with its cosmopolitan Liberty Village location; a stylish urban retreat that has blended naturally with the maze of condos and lofts in Liberty Village. The condo will exude a warm and friendly atmosphere, with spacious suites that are accentuated with large outdoor terraces, while also offering a fine combination of finishes and features. Life at this luxurious condo is all about living to the fullest, with a selection of state-of-the-art recreational amenities always within reach.